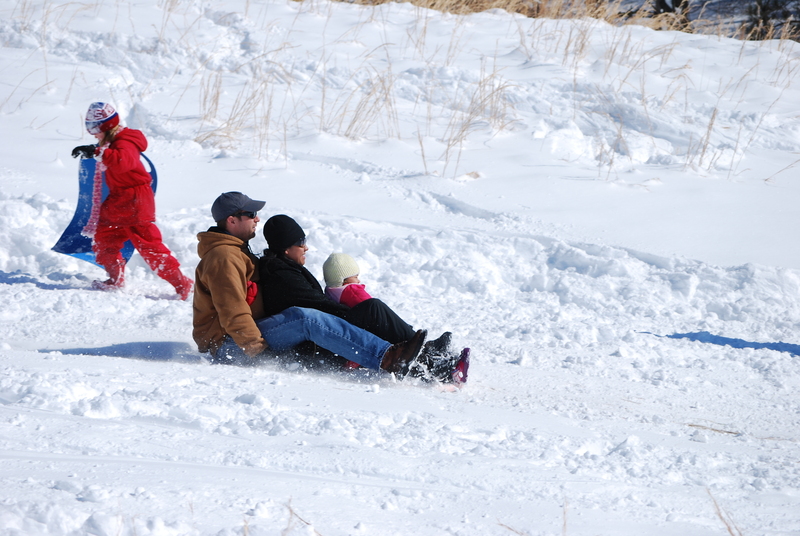 Sledding can be a family event. Dad, mom, and daughter take to the snow on one sled in Valley Forge after a record snowfall. ← Sledding Head First into . . .